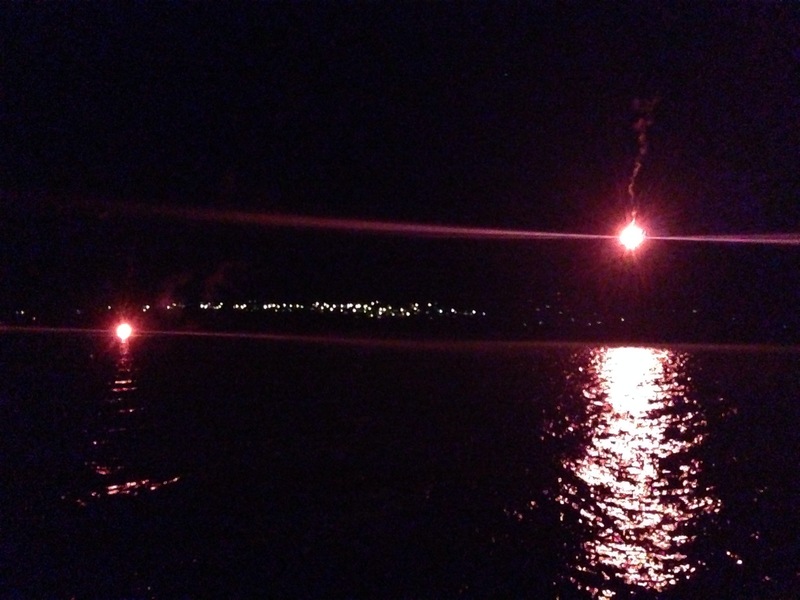 We had a flare demonstration at the yacht club tonight which was an interesting experience! The cruising commodore – David and myself got permission from Maritime New Zealand to hold the event and we also had to inform Airways/Air Traffic, the Police, the Harbour Master, the Port, Coastguard and the Fire Brigade. 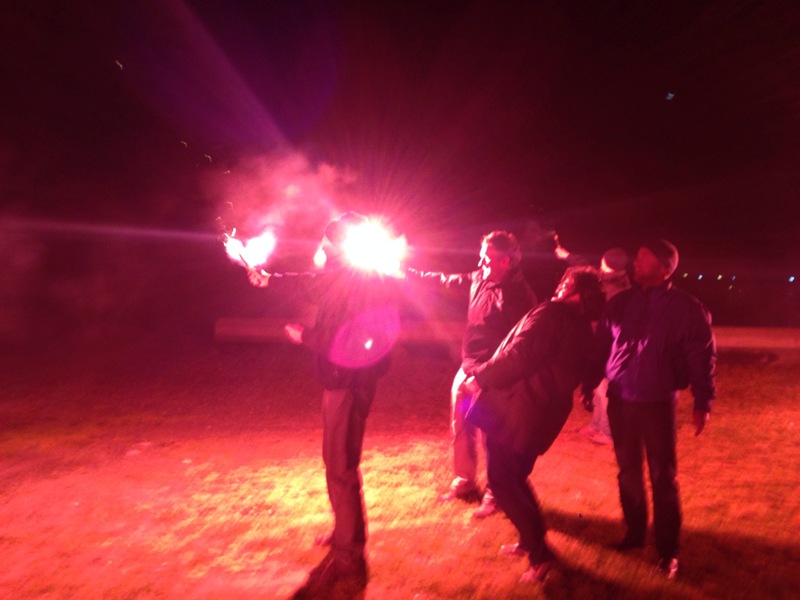 Then we contacted RFD the local flare wholesale distributor and asked if they had any expired flares we could use. They were delighted to give us a huge boxful of recently expired flares – as otherwise they would need to pay to have them safely disposed of. So a great win win situation for everyone! So we were in the dark on dry land in a controlled environment, and while we had torches to read the (quite small printed) instructions I wondered how difficult it would be in a stressful situation, rough seas and poor light to try and set one of these things off!! The rocket/parachute flare is really loud and quite a scary thing to let off! It would do a serious amount if damage if done incorrectly. The thing that surprised me most was how quickly they disappeared. They were very bright but were only visible for about a minute or so. The hand held ones seemed to last for a few minutes but they burnt intensely hot and when they were finished the flare bit – they continued to burn right down the handle. This could cause terrible burns to your body or boat! We also set off some orange smoke day flares which really would only be any good in day time as there was just smoke and no light whatsoever. This was a great practical experience to firstly read the instructions and then actually set one off. It also made me realise that with the short duration of light that they produced – you really wouldn’t want to be solely relying on that method of signaling for help! My Mum very kindly bought us a battery powered flare like this one. The batteries last for a long time and they don’t burn you in the process. We have added it to our grab bag! 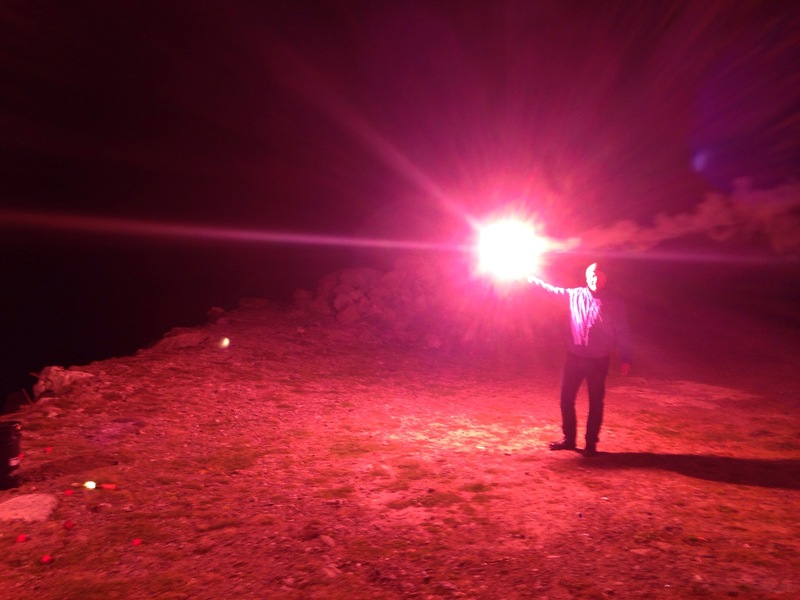 Would you know how to set off a flare in the dark…? Transmitting a digital distress signal by activating (or pressing) the distress button (or key) on a marine radio equipped with DSC over VHF channel 70. Transmitting a digital distress signal by activating (or pressing) the distress button (or key) on an Inmarsat-C satellite internet device. We used to do the same in Australia, a great use of old flares as you say – and priceless training – however, some “smart” “suit” stopped it! What a shame! Some people spoil all the fun! Guess that would be a bad day to be having a real emergency! 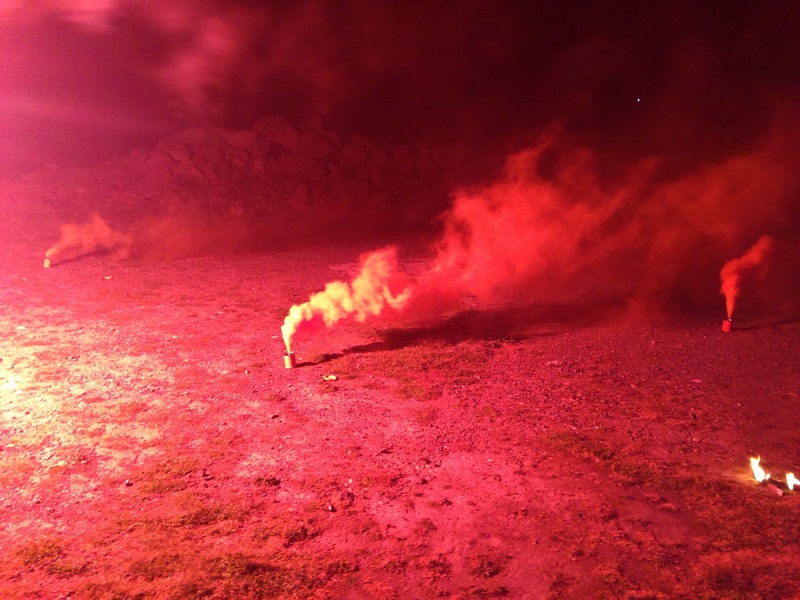 I am keen to get some of those new battery powered flares. The ones we set off freaked me out! Yes, I certainly agree with you, but, for example, I found the white flares lasted much longer than the red ones. I plan on freaking out too and buying the battery ones when I find them. I regularly skipper for students at the Cambridge University Yacht Club. It’s club procedure to show everyone the flares and explain how to use them before every trip, including warnings about burning your hands. (Also, don’t look at a burning flare in an emergency. It will blind you for a while.) I thoroughly recommend trying flares like this if you can get the chance, as well a trying out lifejackets and life rafts in a swimming pool. Lots of fun apart from anything else. I thought this was going to be about dodgy 70’s trousers!